With England under the shadow of Napoleon’s invasion, the windswept coast of Devon has become a hotbed of intrigue—with spies and smugglers terrorising the county, no one is safe. No respectable lady should concern herself with romantic notions of spies and smugglers, but Joanna Fineton does not care. When she discovers double agent Captain Jackson breaking into her family home, she is suddenly swept up into a tangled web of lies and conspiracy. Someone in the Fineton house is not who he appears to be—but can Joanna discover who the French spy is before his dastardly plan comes to fruition? It took me a good 60-70 pages to get into The Guinea Stamp. Unlike some of the author's previous titles, I did not automatically connect with the characters in this story, though I gradually came to care for them a little during the course of the book. 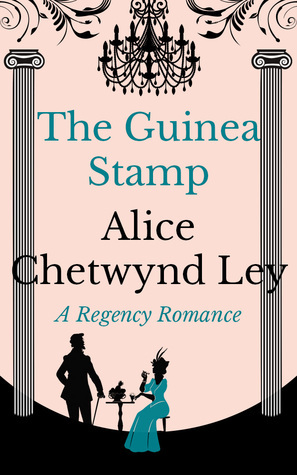 As such, I would not recommend this one as an introduction to Alice Chetwynd Ley's stories, but it will appeal to those who already enjoy her work. As usual, the plot twists are fairly easy to guess, but that doesn't necessarily spoil the fun. Not my favourite by any means, but still an enjoyable quick read.